After a great visit from a room parent who is an architect, the children of the Copper room quickly became interested in building. Embracing the children’s interest, we invited the families of the Copper room to raid their recycling bins for building materials. Thanks to their overwhelming support, we were well on our way- but to what? That question was answered by the children shortly after- (in the words of the children) they wanted to put their buildings together into a city! At the same time, another room parent introduced us to the exciting world of Terrace Town and invited us to join him to check it out. After our perfectly timed field trip, the children left with many ideas for our own city construction. 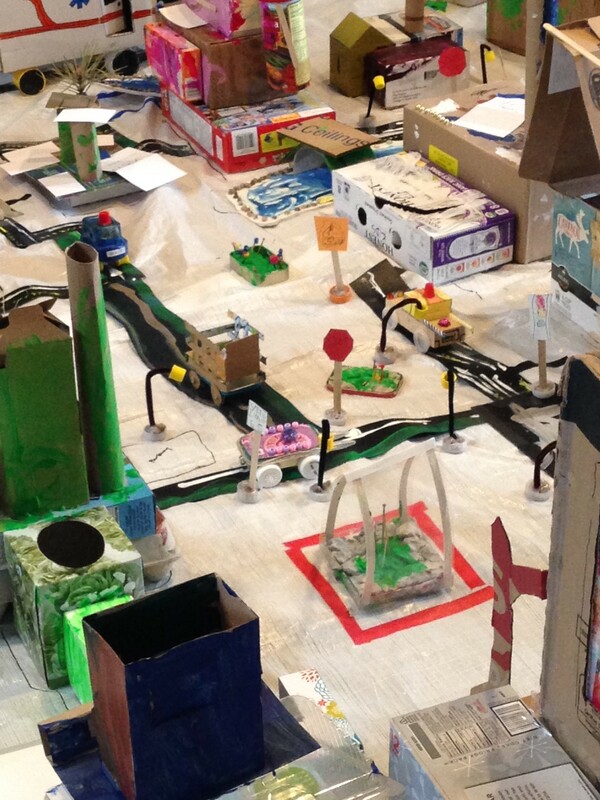 The children impressed us with their wealth of knowledge in the world of city planning. What you see in front of you came directly from the children: their ideas, their discussions, and their questioning. Next PSA celebrates Week of the Young Child!